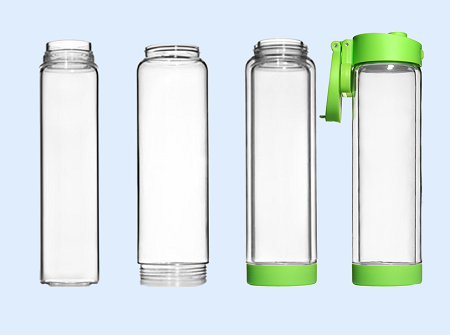 Think of strength and durability when you purchase the Glasstic Shatterproof Glass Water Bottle with the super functional GREEN sports lid. 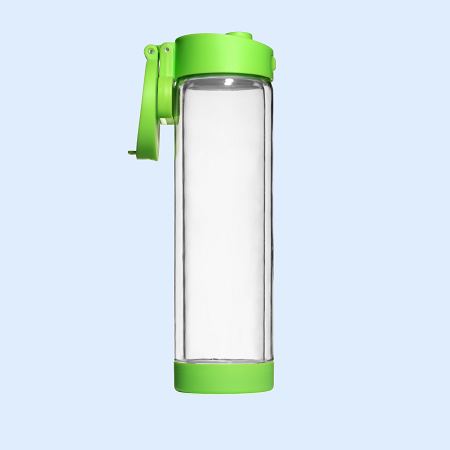 Wide Mouth Glass Water Bottle - Great for adding Essential Oils or Super Food Powders. 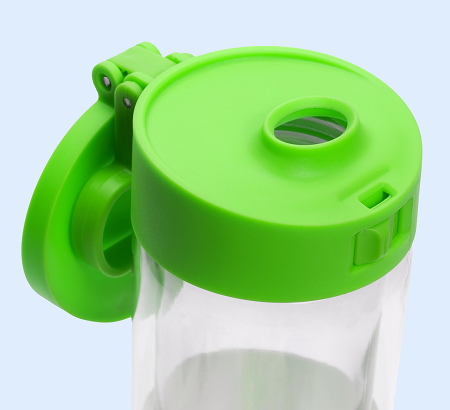 Leak Proof Flip Cap Lid with Handle and Lock. 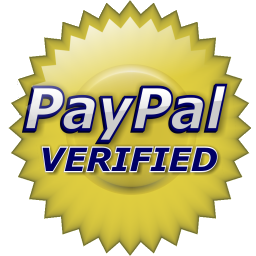 All lids are interchangeable. No more spills!